High winds didn't deter Fi from performing readings from her children's book at the Southampton Boat Show. 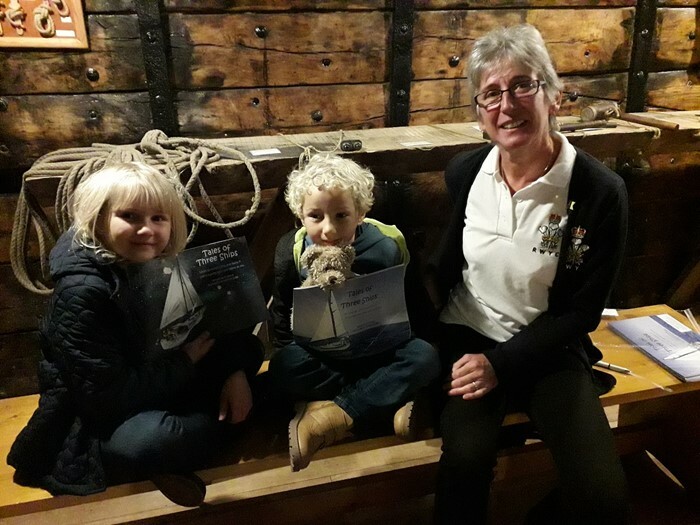 The Southampton Boat Show Organisers asked Fi Jones, OCC Regional Rear Commodore UK, to attend the show and do readings from her latest children’s book in the Tales of Three Ships series “When Grandad Chris and Nana Fi Spent Twenty Days and Nights At Sea". The book cover was used to advertise the seaside story time event. The readings were to be aboard the Tall Ship “Kaskelot” but due to high winds and unstable pontoons some readings took place on the main stage.